While there are many benefits to running a business that comes with a pre-established customer base and a step by step operation manual, there are also a number of obligations that a franchisee must meet. In order to ensure that your franchise business has the best possible chance of success, there are a few things that you should do before you sign on the bottom line. Many novice franchisees make the mistake of thinking that if they buy a franchise they are automatically guaranteed a profit. After all, have you ever seen a McDonalds that doesn’t have a line around the block during lunch time? However, franchisors aren’t guaranteeing you the same level of success that others have found using their business models. They are selling you the ability to use a regionally or nationally recognized name and brand identity as well as a user guide on how to operate a successful business. It is also important to note that while all franchises require you to pay an initial franchise fee, these fees can differ from company to company and from region to region. For example, your Cold Stone Franchise cost in California can be higher than the cost to own a franchise in Iowa. It is for this reason that you need to do your due diligence in order to select the right franchise for your skill set and region. You also need to choose a franchise that has a track record for success. You want a franchise that offers a solid brand and an expansive advertising system in order to ensure that your business has the best possible chance for success. 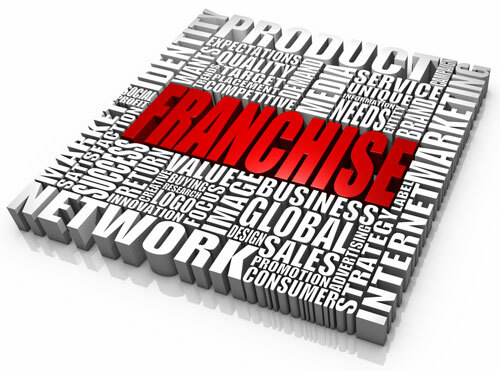 Before you buy a franchise, you need to understand what it is you are buying. Is the franchisor financially sound? Do they have a lot of successful franchises? Check with the SEC to take a look at their financial condition if they are public or check over their financial disclosure document if they are private. It is important during this phase of the discovery process it is important to do your own investigation and not base your decision off of the franchisor’s information as the information may not be accurate. One of the most valuable things you can do to determine the success of any franchise relationship is to talk to other franchisees. While some franchisees may be hesitate to talk to you about the specifics of their agreement, most will let you know what they think about their experiences. If they are looking to sell, see if they will tell you why they are looking to get out of the business. After you create short list of potential franchise candidates, start gathering information about what is being offered with each franchisor. Every franchise agreement will be different and you need to have a solid understanding of what each one offers before signing on the bottom line. Not only do you need to know what you are getting, but you also need to understand your obligations under the agreement as well. The best thing to do, if possible, is to have each agreement reviewed by an attorney so that there aren’t any surprises later on. Buying a franchise offers those looking to get into business an edge over those who start their businesses from scratch. However, as with any investment, there are potential pitfalls. By understanding what to look for and what to expect, you can increase your odds of having a successful franchise business. Next A $12.5 million-dollar question: Does Burger King love doughnuts?